Adrian and I meet through a mutual friend, we chatted for months via social media and text messages as Adrian was away for work, when he returned to Airlie beach we randomly meet on a night out. We continued to catch up a few times on the boat Adrian was working on in Abell Point Marina. After hanging out most days for a few weeks Adrian had to leave Airlie Beach to go to Lizard Island on the boat he was working on for a couple of weeks, which ended up being a couple of months. Lizard Island has very limited reception and Adrian would call me most nights, from the boat but it was always difficult as the boat would move around on anchor he would lose reception. I realised how much he meant to me while he was away I missed him so much! 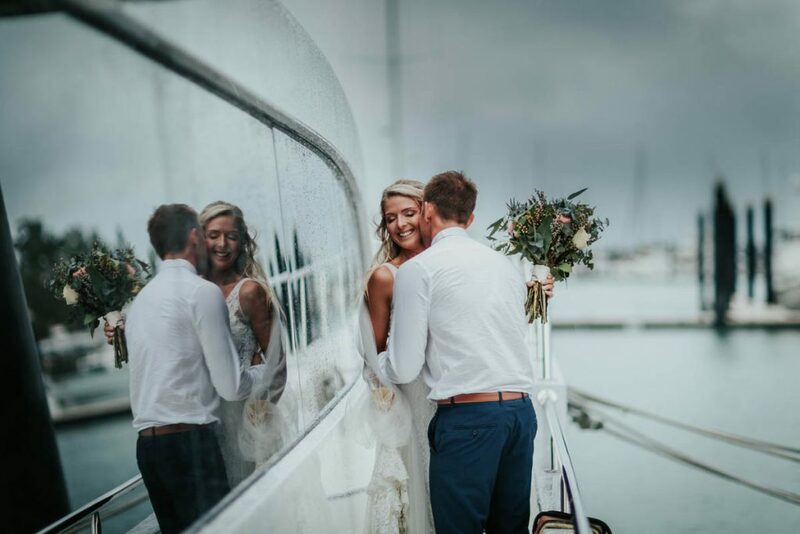 When they finally finished the charter, the boat needed to stay in Cairns for a little while, so I caught the bus to Cairns to meet Adrian for his Birthday, we had the best time in Cairns and I stayed on the boat for the trip back to Airlie Beach. Before I knew it, I had quit my job, moved my life onto a boat and joined the same crew as Adrian. We had an amazing time travelling around the Whitsundays and across to the South Pacific. Living and working together was a great test for our relationship, we had so many awesome adventures together and met lots of lifelong friends. Adrian waited for weeks for the perfect weather window so that we could take our boat out to Whitsunday Island, Cid harbour and walk the Whitsunday Peak track which takes you to the highest point of the Whitsundays, where you get 360 degree views over the beautiful islands. Adrian was up super early in the morning getting the boat ready and packing everything for the day, I was quite surprised when he was trying to wake me up so that we could leave nice and early and that he had everything ready to go, it was such a calm trip over to Cid harbour and I was really excited to do the walk. When we finally got to the top we were sitting down taking in the stunning view when Adrian pulled out a ring and asked me to marry him, I had no idea at all what he had planned or even that he had thought about purposing so I had a few tears – it was the best day and the perfect location, he even had a bottle of champagne on ice in his backpack so we could celebrate! I was reading Core magazine when I saw that Lure was offering a competition to win a wedding package valued at $24,000, I actually remember saying to Adrian how amazing it would be to win something like that and showed him some pictures of the venue, we instantly feel in love with the venue and location. Adrian told me that we should enter, we posted a picture of us from when Adrian purposed and wrote our story and asked all of our friends and family to vote for us, never did we imagine that we would actually be in with a chance to win such an amazing wedding package! 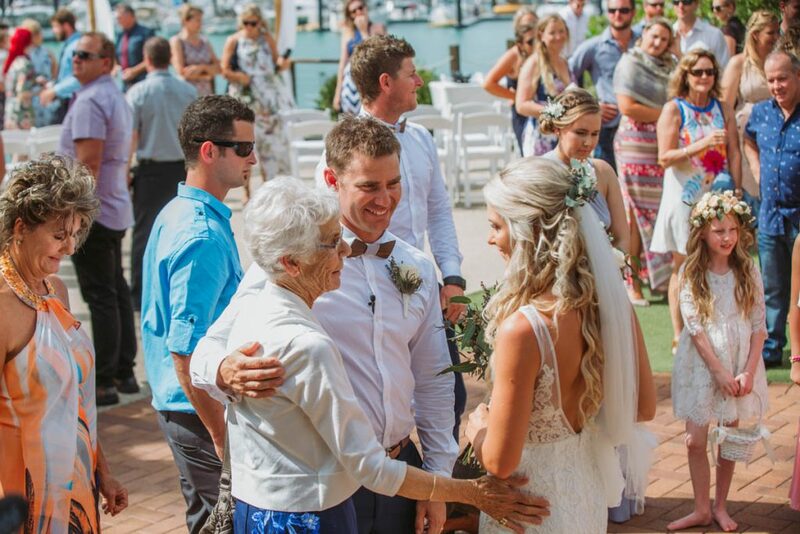 We had around 100 people at our wedding ceremony on the Lure foreshore overlooking the beautiful marina and 80 for our reception at Lure. We choose to have the cocktail option as we wanted everyone to be social and make the most of the venue, there were so many delicious canapés and we were really pleased we went with this option. 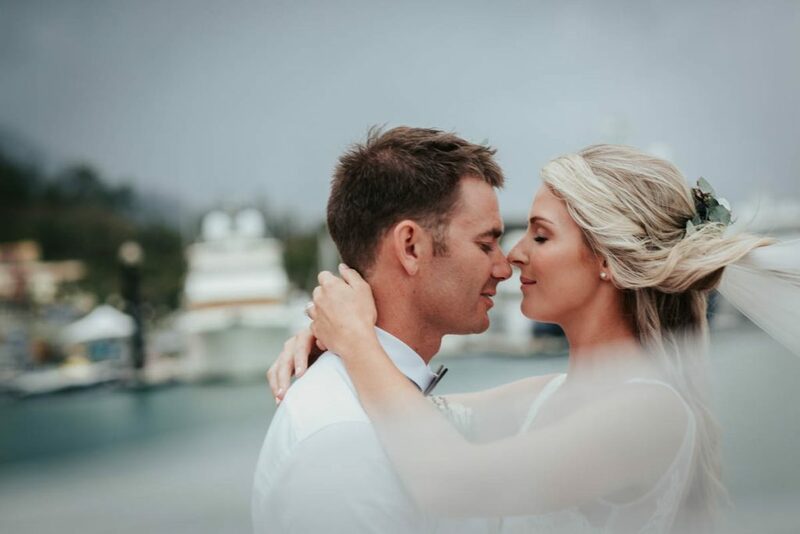 Adrian and I live here in the Whitsundays and wanted to be married in the place where our relationship started, we wanted to show our friends and family how beautiful it is here and why we have chosen to live here. Most of our guests were not from the Whitsundays and everyone made a holiday out of their trip, some guests stayed up to 2 weeks in the Whitsundays making the most of the warm weather and all the trips on offer. It was such an amazing couple of weeks having our close friends and family all here with us celebrating. We did some trips with Cruise Whitsundays where Adrian and I are both employed. We had a few dinners at some of the local restaurants and the day after the wedding we went Ocean Rafting with some of our friends and family. 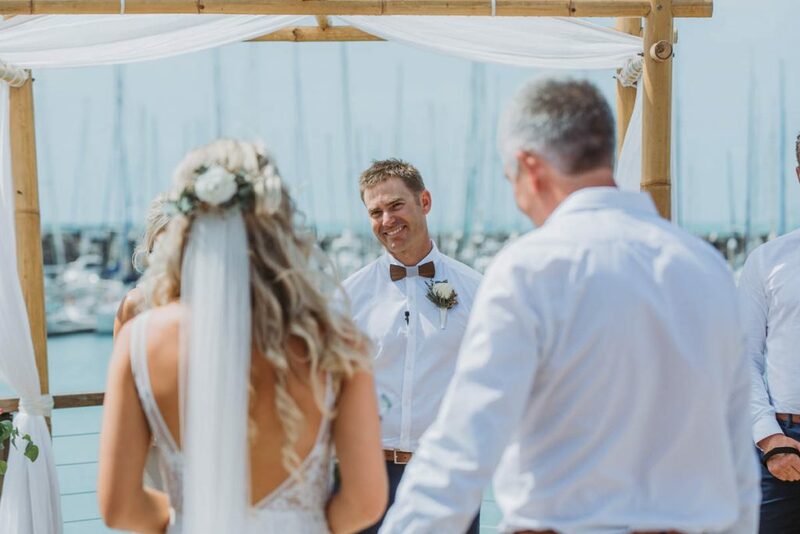 With the beautiful backdrop of the boats in the marina we kept our ceremony set up basic and we had the wonderful team at the Event Company set up our reception. We went with natural tones and colours and kept it simple. The setup of our reception was stunning, the decorations looked more amazing then we had imagined, everything looked perfect. There was plenty of room for everyone and the dance floor stayed very busy throughout the night, everyone loved the chill out areas, day beds and balcony. 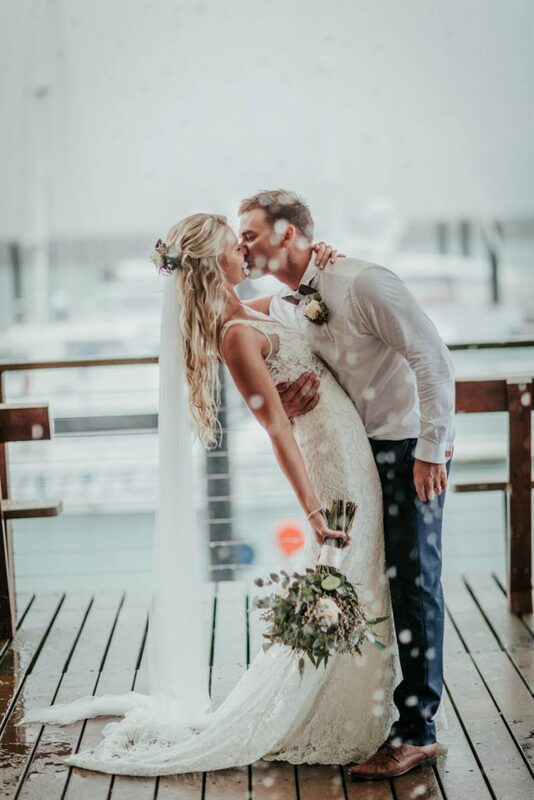 The venue is very modern, we love all of the decor, wood work, art and the nautical theme throughout, the balcony looked so beautiful covered in fairy lights. The entire day was memorable, we both took in every moment. Walking down the aisle my heart felt so full of love knowing all of our most loved friends and family had travelled so far to witness Adrian and I get married. Adrian looked so handsome standing at the end waiting for me with the biggest smile, we choose to spend the night apart the night before, so I was really happy to see him and we both really enjoyed getting ready with our closest friends and family. 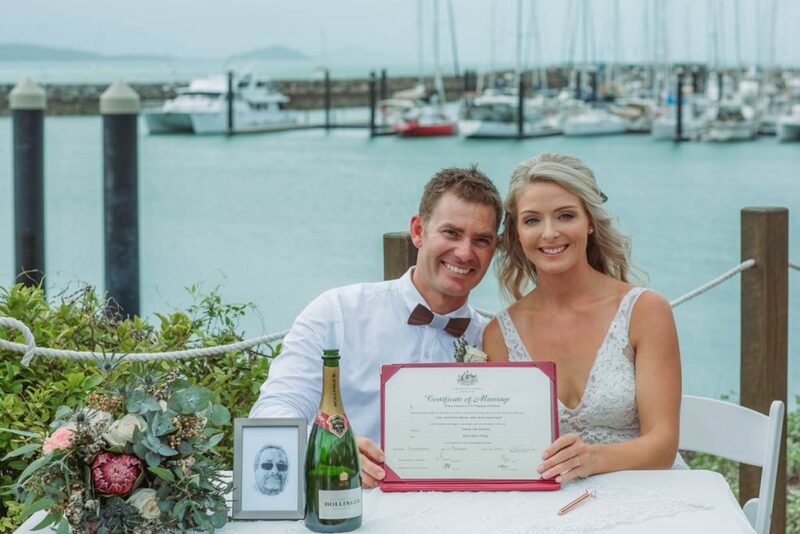 We loved that we both wrote our own vows – even though I struggled through my vows, almost cried a couple of times. I remember signing our marriage certificate and looking over at Adrian and we both had the biggest smiles. There is no way to describe the feeling other than pure joy! 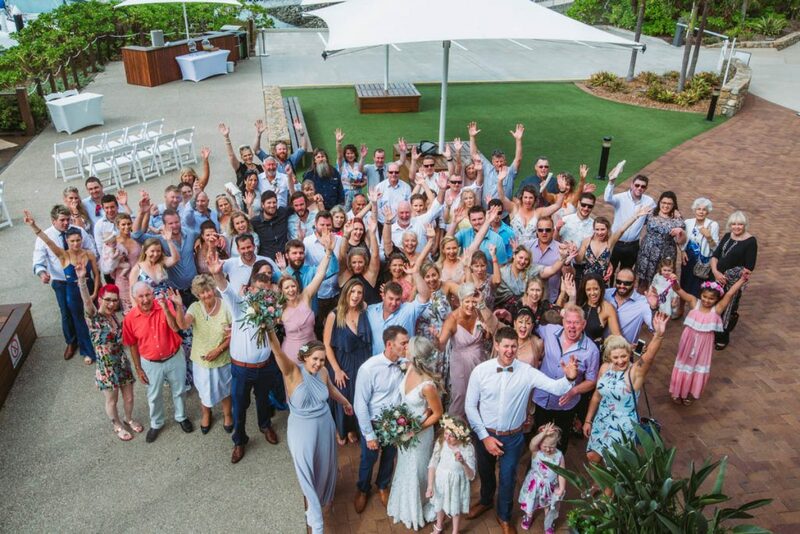 We are so incredibly lucky to have held our reception at Lure, we love living in the Whitsundays and we are both so thankful that we could celebrate our wedding in such a special place with all of our friends and family. 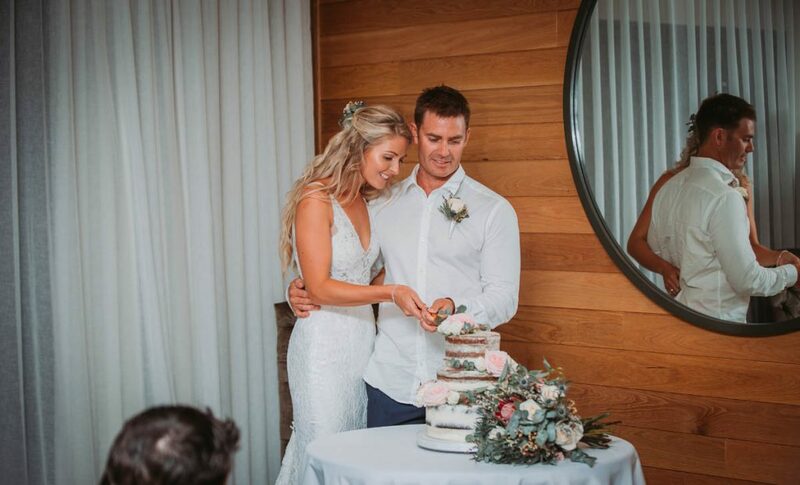 We loved looking around throughout the evening and seeing everyone having a great time, we had so much fun with everyone – we couldn’t stop smiling the entire night, looking back now it feels like a dream. 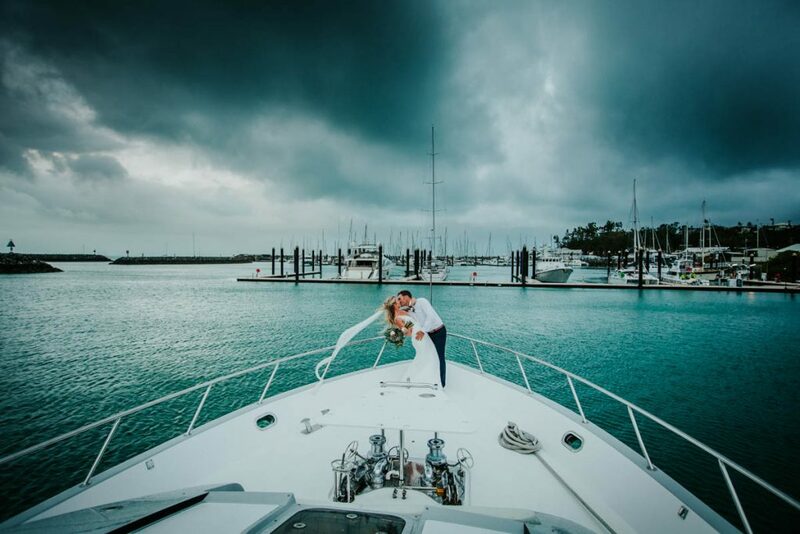 Destination weddings are amazing as you get so much time to spend with your friends and family and they can also make a holiday out of your wedding. We made a private Facebook page and regularly shared posts about accommodation, things to do, venue location, flight special and many other things, it was a great way to plan dinners and catch ups with everyone as a group also. 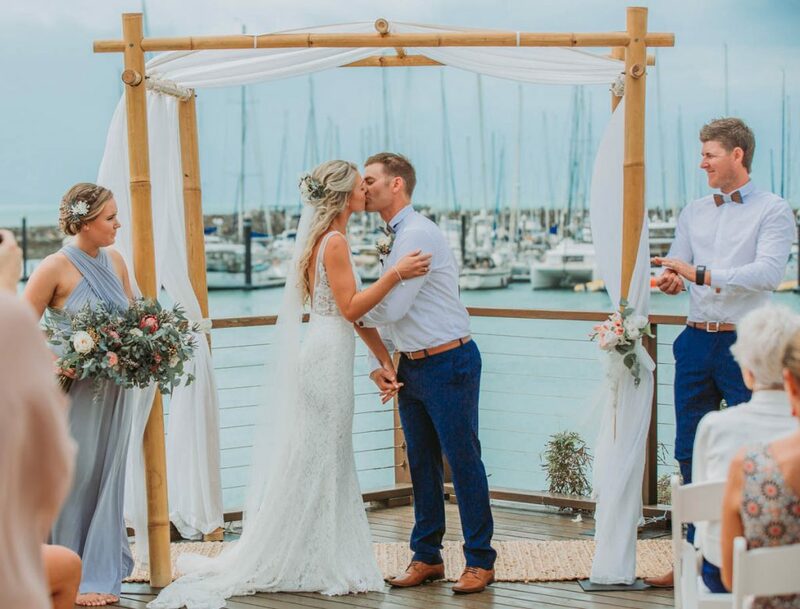 In the Whitsundays there is so much for everyone to do so having a wedding planner is helpful as they know all the best suppliers and can recommend other activities and things to entertain everyone. I think it is important to remember when you’re wedding planning that all the matters is that you and your fiancé will be getting married. Your closest friends and family want to be a part of your special day, see you both happy and help you celebrate. It’s easy to second guess things you have chosen, colours etc but remember it’s you and your fiancés day and have everything that you both love. Adrian and I had 2 weeks in Airlie beach before the wedding with some of our guests and then we went to Nusa Lembongan, Bali for 2 weeks. 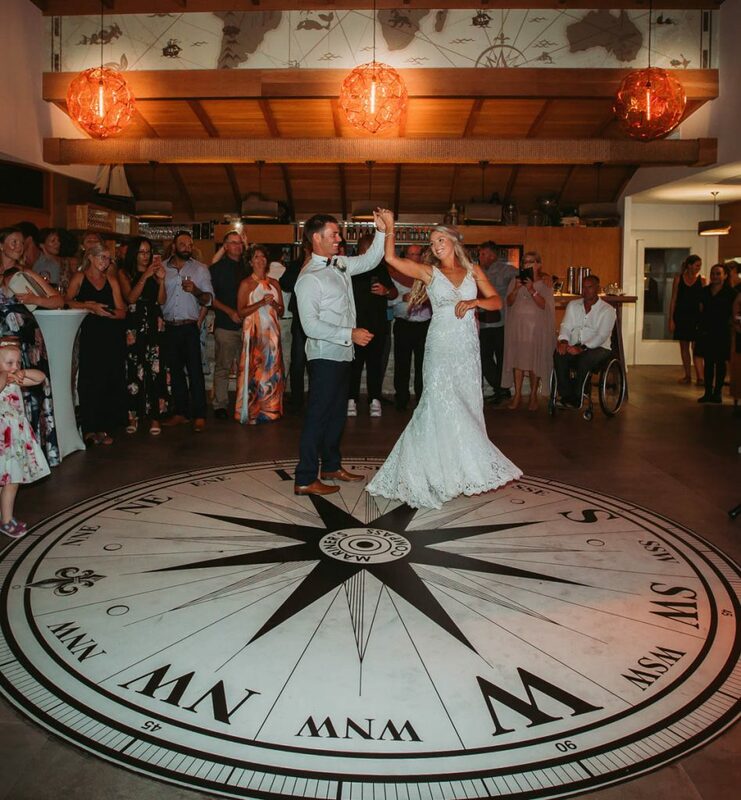 We are so glad that we choose to have a honeymoon straight after the wedding, it is such a nice time to reflect on your big day and the time spent with everyone celebrating. 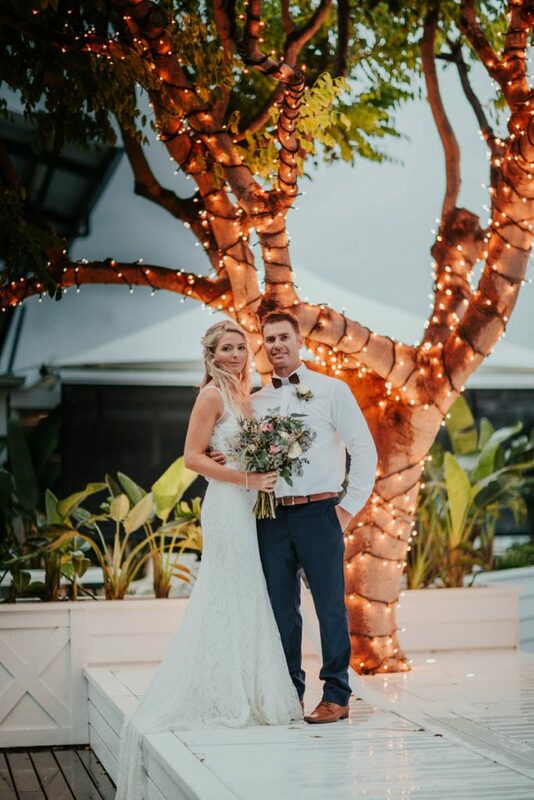 We stayed in some beautiful places and spent most of our time relaxing, surfing, diving, snorkelling and making the most of our time together as Mr and Mrs Wronski.